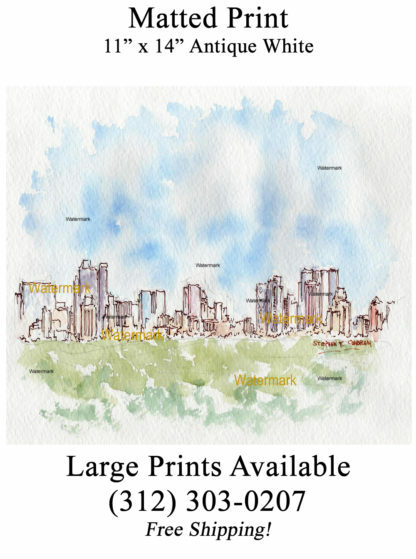 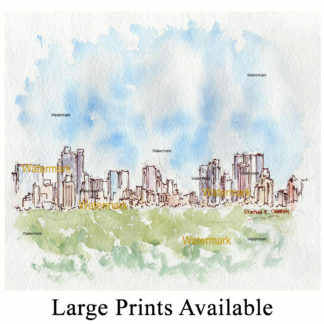 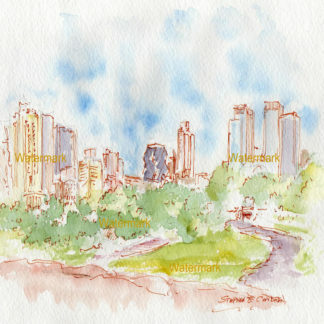 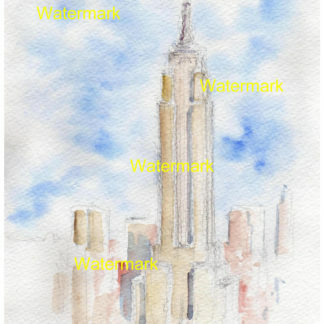 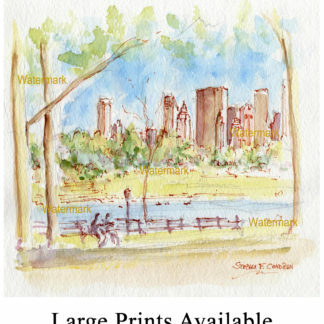 Manhattan skyline watercolor painting of midtown from Central Park. 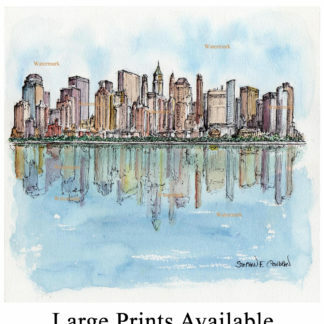 Manhattan skyline #836A pen & ink watercolor cityscape painting, which is for sale here, at discount with prints by artist Stephen F. Condren, SAIC, of Condren Galleries, a Fine Arts Gallery, offering JPEG & PDF prints. 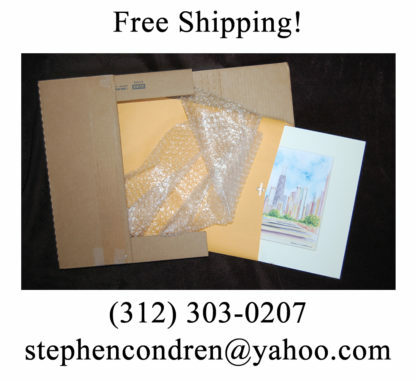 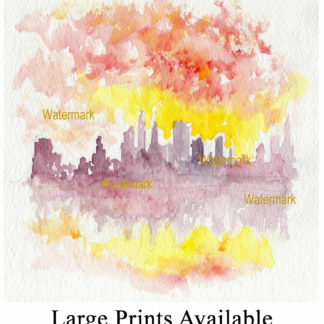 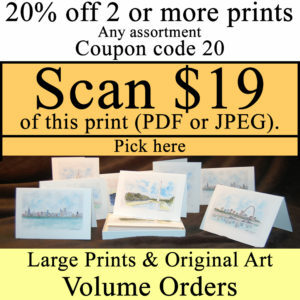 Because Central Park skylines are great, their prints are great! 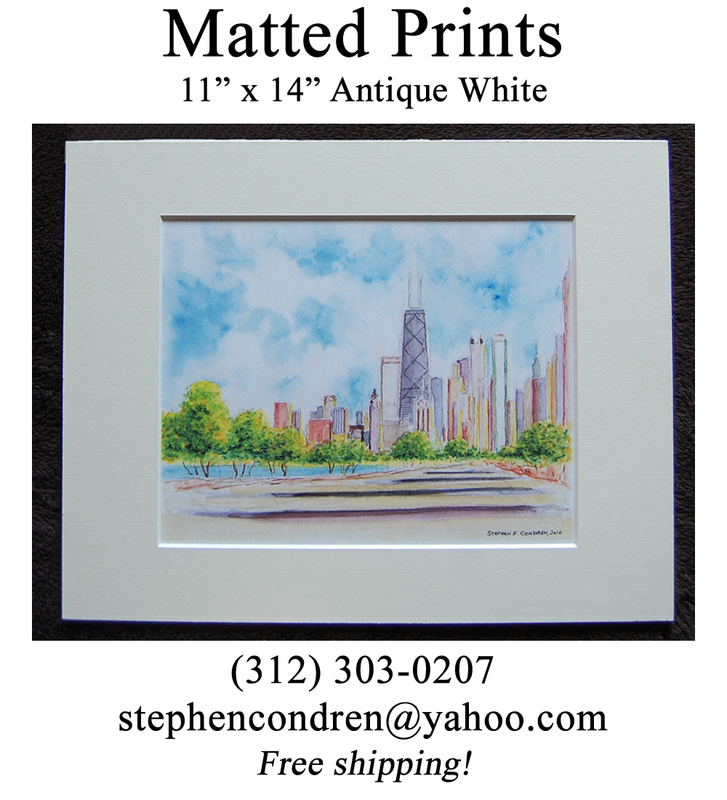 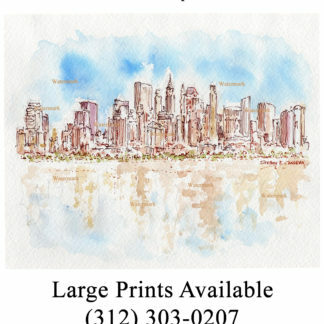 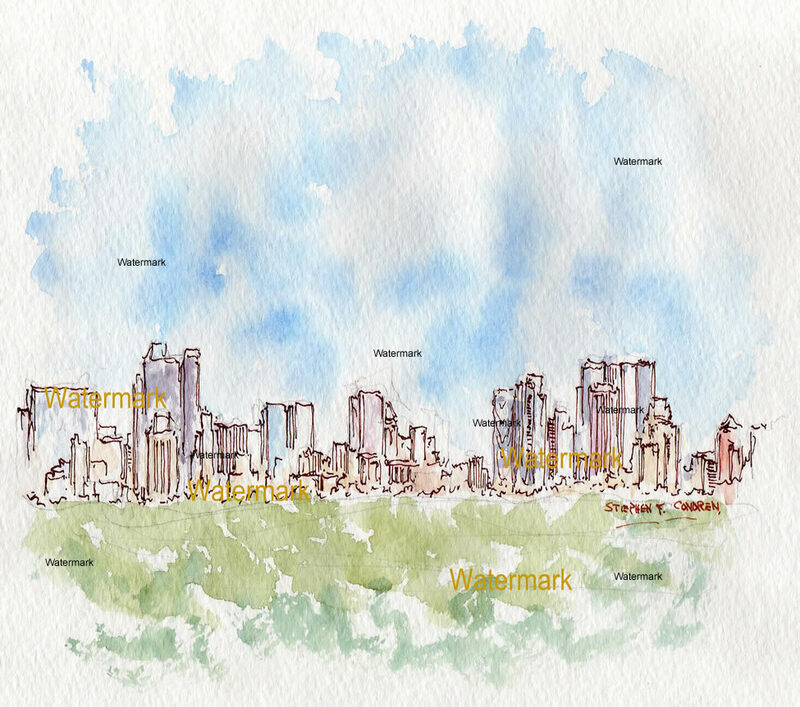 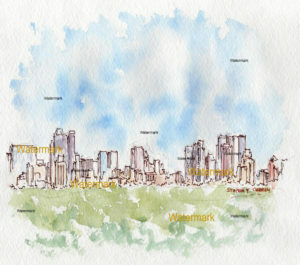 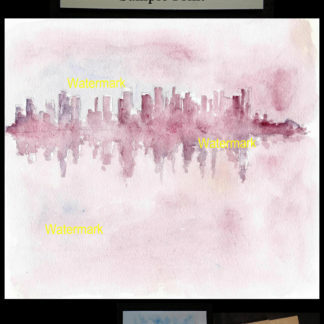 Watercolor painting of Manhattan skyline as seen from Central Park by artist Stephen F. Condren. 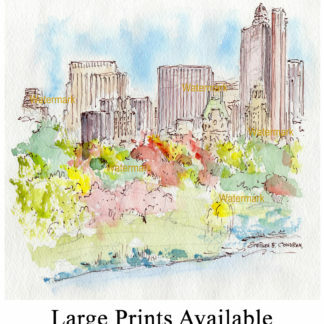 This elegant watercolor of Central Park in Manhattan Island is focused on the beauty and contour of the skyline. 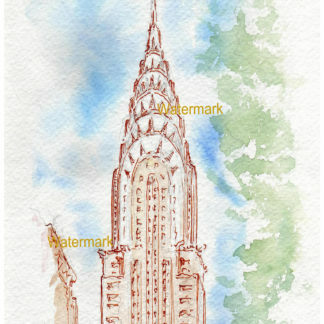 The delicately placed with the greenery of the park is done with fine graceful pen & ink line work. 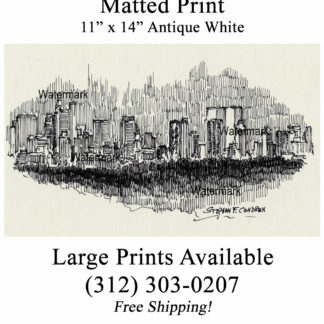 All too often pen & ink can be too detailed and take away from the freshness of a watercolor where in this work of art you have the grace and beauty of line complimenting the watercolor wash.